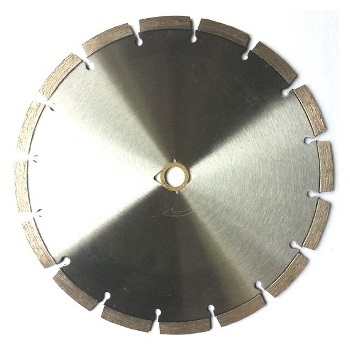 PRODUCT: PREMIUM GRADE, 14"x 0.125" THICK x 1"-20mm ARBOR, 10 MM RIM HEIGHT, SEGMENTED, MEDIUM BOND, LASER WELDED, CIRCULAR DIAMOND SAW BLADE. PRICE/BLADE. Block, concrete, hard concrete, pavers, brick. Machinery: Designed for up to 13HP walk-behind gas saws.